Hello Friday you beauuuty! This week we’ve been talking about a very British cloud, and putting your business on cloud 9 with our upcoming event. On the third birthday of our eCloud we’re sharing the top three benefits of the range, and going behind-the-scenes at UKFast Campus as we talk office spaces. If you want to shout about your business, the DEAs are now open for entries and you can watch our CEO Lawrence talking about the effect a Brexit would have on business. 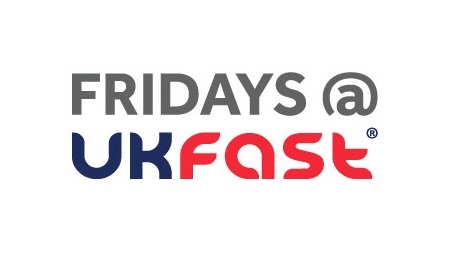 Finally, we’ve got some first impressions of UKFast from our new social media exec to share with you. Now, kick back before kick off and catch up with the best of the rest. In the latest of a recent spate of attacks, the CEO of tech support firm Zendesk has had his Twitter account hacked. A range of celebs from both the tech and entertainment world, including Mark Zuckerberg, Keith Richards, Katy Perry, Bon Iver and model Kylie Jenner, have all had their accounts hacked in the last fortnight. Zendesk played down the attack and assured that the system itself wasn’t affected, and that they’d quickly secured the account. There’s been speculation in the case of FB’s Zuckerberg that attackers got access because he used the same passwords for several accounts which, if that’s the case, he should have definitely know better. If you’re now feeling a bit nervous yourself, Twitter said it recommends that “people use a unique, strong password for Twitter. We detail other steps people can take to keep their accounts secure on our help centre”. It’s also reminding people that they can enable 2FA, which is something we also use for MyUKFast. Taking a more proactive step for security, you might’ve seen that Netflix and Facebook are also encouraging users to change their passwords, even if they don’t believe they were directly affected by recent breaches. It’s a bit of a pain but it’s in reaction to high-profile breaches of other websites; if you use the same password across several accounts attackers could well have access to other accounts too. If you – like many other businesses – have had Faceyb and other big social hitters at the heart of your social strategy, it looks like now might be a good time to make a change. A study found that numbers are falling, with Instagram dropping like it’s hot, falling 23.7 per cent year-on-year. Twitter usage is also down 23.4 per cent, Snapchat 15.7 per cent and Facebook by 8 per cent. Instead, new platforms are emerging victorious. “We see a trend towards privacy, and towards more individual communications. Let’s take the growth of Telegram as an example. Also Whisper and Yik Yak where people can chat anonymously. It seems people are moving to more closed communities,” said data analyst Pavel Tuchinsky, the author of the report. Social media is increasingly vital to many marketing strategies, so it’s definitely something to keep a beady eye on. Talking of marketing, this Father’s Day fiasco shows the importance of sensitivity and thinking about your audience when sending out targeted communications. Ahead of the holiday, wearable tech firm Jawbone sent out emails with the title ‘Re: Your Dad’. Unfortunately this massively backfired when users who had lost their dads or didn’t have great relationships with them took to social media to say how upsetting it was to get an email with that title. Some users also assumed it was an alert to tell them that there was something wrong with their dad, given that it was from a wearable tech company that collects users’ health info. Of course, some people are saying they’re being hypersensitive, but still, in an age where mass communication – and mass data collection – is rampant, it’s something to bear in mind.